1 reference card, see also 22 Ga. Inf. enlisted 12-17-61 at Yorktown, Va.
enlisted 2-15-62 at Cherokee County Ga. Killed 5-3-63 at Battle of Seven Pines, near Richmond, Va.
enlisted 9-17-61 and mustered at Camp McDonald, Ga.
enlisted 8-27-61 Gordon County, Ga.
enlisted in Cherokee County Ga. and mustered 8-31-61 at Camp McDonald, Ga.
Died 9-14-62 at the Battle of South Mountain, Md. Killed 6-3-64 at battle of Cold Harbor near Richmond, Va.
Born: 3-14-1840 Bartow Co. Ga. Promoted Sgt Major 1-6-62 at Yorktown, Va. Admitted Chimborazo Hosp #4, 5-10-62 Hemorrhoids, returned to duty 5-29-62, sent to Lynchburg, Va. He is buried at Salacoa Baptist church in Cherokee county, Ga.
enlisted 4-17-61 at Camp McDonald, Ga. and mustered in 8-31-61 at Camp McDonald, Ga. Roll Jul, 63 thru Oct 63 absent = Detached as Hosp Attendant in Atlanta, Ga. Roll Nov/Dec 63 Nurse in Hospital in Atlanta, Ga.
Got discharge in Atlanta, Ga. Wife: Martha J, married 2-17-1876 Bartow Co. Ga. Filed for pension Paulding Co. Ga.
Died: 10-7-19 Cobb Co. Ga.
enlisted 9-18-61 at Camp McDonald, Ga.
Died 3-28-62 of Disease at Yorktown, Va.
enlisted 8-26-61 at Canton, Ga., mustered 8-31-61 at Camp McDonald, Ga.
Died 3-1-62 at Yorktown, Va.
Father: Alexander Findley / enlisted 1-24-62 Shot Gun District, Ga. Admitted Military Hosp #4, Wilmington, N.C. 7-31-63 Debility, P.O. Fair Mountain, Ga.
Died 8-26-63 at his home in Pickens County Ga.
enlisted 4-1-62 at Yorktown, Va., mustered 8-31-61 at Camp McDonald, Ga. Admitted Chimborazo Hosp #2, 8-27-62 Typhoid Fever, furloughed 50 days 9-3-62 to Talking Rock Ga. Pickens County Ga. Wife: Mary Elizabeth Mowell, married 12-18-1881 Cherokee Co. Ga.
Died: 12-23-1920 Pickens Co. Ga.
enlisted Feb 64 in Florida, enlisted 2-1-64 Cassville, Ga.
enlisted 8-61 Cherokee Co. Ga., mustered 8-31-61 at Camp McDonald, Ga. Wife: Eliza, married 8-16-1857 Pickens Co. Ga.
Died; 9-26-1911 Gordon Co. Ga.
enlisted 8-30-61 at Cass County Ga., mustered 8-31-61 at Camp McDonald, Ga. Killed 9-17-62 in the Battle of Sharpsburg, Md. enlisted in Cobb Co., mustered 8-31-61 at Camp McDonald, Ga. Admitted Gen Hosp #4, Wilmington, N.C. Fibris Typhoidis 7-31-63, P.O. Fairmount, Ga. Roll Jan/Feb 64 absent, wounded in Hospital in Savannah, Ga.
Name appears on Parole Letter dated 10-4-62 at Head Quarters Winchester, Va.
enlisted 9-11 or 9-17-61, mustered at Camp McDonald, Ga.
Name appears on Roll of Rebel Deserters, Took Oath of Amnesty at Chattanooga, Tn. enlisted in Fairmount, Cobb County, mustered in 8-31-61 at Camp McDonald, Ga.
enlisted 11-30-61 at Big Shanty, Ga. mustered in at Camp McDonald, Ga. Filed in Chattooga, Co. Ga.
Born: 2-1-1832 Hall Co. Ga.
mustered 8-31-61 in at Camp McDonald, Ga.
Born in Cherokee County, Ga. Discharged 2-8-62 for Disability at Yorktown, Va.
Enlisted 1862 at Big Shanty, Cobb Co. Ga.
William E. Jones was born in Franklin County, Georgia February 4, 1831, he was the fourth son of Bartlett Jones and Dicie Faulkner. 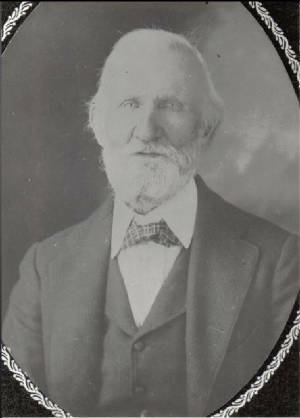 William E. Jones married Sarah A. Lister in Hall County, Georgia in 1854 and they later moved to Cherokee County, Georgia. In Cherokee County William and Sarah had eight children, four boys and four girls. William enlisted in The Confederate Army as a private in Company I, William fought in the following battles in Virginia: the Battle of Williamsburg on May 5, 1862; the Battle of Drewry's Bluff; the Battle of Seven Pines May 31 - June 1, 1862. Father: Aaron Lard, Manassas, Ga.
Re-enlisted 3-1-63 at Fredericksburg, Va. Captured near Fredericksburg, Va. 5-3-63, Paroled at City Point, Va.
enlisted 9-12-61 at Big Shanty, Ga.
enlisted at Fairmont Ga., mustered 8-31-61 at Camp McDonald, Ga. Wife: Susan E, married 1866 Cherokee Co. Ga. she filed for pension in Bartow Co. Ga.
Died: 1884 Cherokee Co. Ga.
enlisted 9-10-61 Camp McDonald, Ga.
Died 9-15-62 of wounds received at the Battle of South Mountain, Md. Admitted Chimborazo Hosp #5, 5-11-62 Debility, returned to duty 5-29-62, given in charge of J.P. Patton 1st Lt. Roll Jul/Aug 63 absent sick on furlough in Ga.
Plemons, H.C. Ensign/Brev 2nd Lt.
Pritchett, James R. 2nd Lt. Discharged 1-10-61 at Yorktown, Va. Wife: Susan, filed for pension in Randolph Co. Ark. Died 6-16-1916 Randolph Co. Ark. Roll Jan/Feb 64 absent, wounded slightly at the Battle of Olustee, Fl. 2-20-64, in Hospital at Savannah, Ga.
enlisted 9-15-61 at Camp McDonald, Ga. Received Surgeon’s Certificate of Disability 6-13-62 in Richmond, Va. Filed pension in Randolph Co. Ark. enlisted 3-1-62 at Yorktown, Va.
Re-enlisted June 62, for $50.00 bounty? Smith, J.A. Sgt / Brvt. 2nd Lt. Roll Jul 63 thru Feb 64 present = 2nd Brvt. Lt.
enlisted 10-61, enlisted 7-25-61 at Camp McDonald, Ga.
Association for the Relief of Married Soldiers, Richmond, Va. Wife: Vera Ann, married 6-12-1871 Cherokee Co. Ga. Filed pension Cherokee Co. Ga.
Died: 1892 Cherokee Co. Ga.
Name appears on list of Paroles dated: 10-4-62 at Head Quarters Winchester, Va.
Deserted from Rebel Army, Released on Taking Oath of Allegiance, transferred to Baltimore, Md. 10-11-64 Washington D.C. Captured at Depot Head Quarters 10-9-64, confined at Bermuda Hundred & turned over to Provost Marshal at City Point, Va.
Pay Roll 8-31-61 to 10-31-61 2nd Lt. Roll Jan/Feb 62 present as 2nd Lt.
Rolls Jul 63 thru Feb 64 present, as 1st Lt. at Yorktown, Va. This man is named by the 23rd's Colonel James H Huggins in Heroes and Martyrs of Georgia, for Gallentry, but not the want of proper records, the peculiar acts of bravery by which he was distinguished, cannot be given. On Register of Deaths at Wayside Gen Hosp #9, in Richmond, Va. He is buried in Oakwood cemetery grave qc106. enlisted 1-31-62 at Camp McDonald, Ga. Wife filed pension in Fulton Co. Ga.
enlisted 9-23-61 at Camp McDonald, Ga. Killed on Picket line, shot dead on the battlefield at (Wise Fork) Kinston, NC 3-10-65 26 miles from Goldsboro, D J Guyton stated = "he saw him dead on the battlefield at Kinston NC"
Wife: Martha, filed pension in Bartow Co. Ga.
enlisted 9-12-63 Camp Island, S.C.
Died 2-18-64 in Hosp in Charleston, S.C.
Father: William K West care of H. Simmons; Jasper, Pickens County, Ga.
enlisted 9-1-61 at Camp McDonald, Ga.
Died 2-14-62 of Pneumonia at Yorktown, Va. Wife: Louisa K, married 9-9-1866 White Co. Ga. Filed pension in White Co. Ga.
Died: 4-29-1904 White Co. Ga.
enlisted 8-61 in Gordon Co. Ga., enlisted 9-23-61 at Camp McDonald, Ga. Filed pension in Murray Co. Ga.
enlisted 11-19-61 at Camp McDonald, Ga., Transferred to Company “I” 12-16-61 from Co. “A” at Yorktown, Va.
Born: 1839 Habersham Co. Ga. Surrendered 4-26-65 at Goldsboro, N.C.